Illegal dumping – download our App today! Litter Cleanup Kits (free) - "Make it Clean, Keep it Safe"
Swim Smart.Swim Safe. Know the dangers of cold water! Vehicle Burglaries: Take ConTRoL! Don't allow yourself to be a victim of vehicle burglaries! 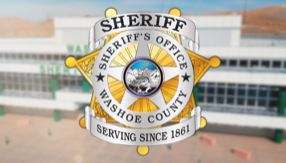 Warrant Phone Scams Impersonating Law Enforcement - Don't be a Victim! The online reporting system allows you to submit crimes, tips or complaints immediately. Find out about current inmates, inmate web visitation, inmate contact and work programs. There are no active alerts. If this was an actual alert, this area would be red and would contain important information to keep you and your family safe.